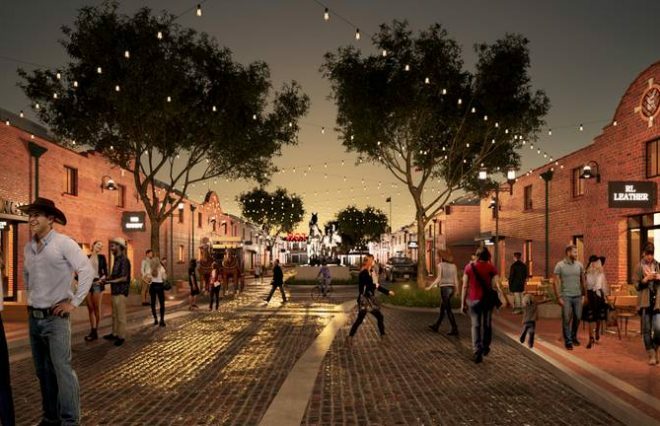 A Shake Shack, a hotel and renovation of Mule Alley are headed to the iconic Fort Worth Stockyards as part of a redevelopment initiative trotting off after a slow start. 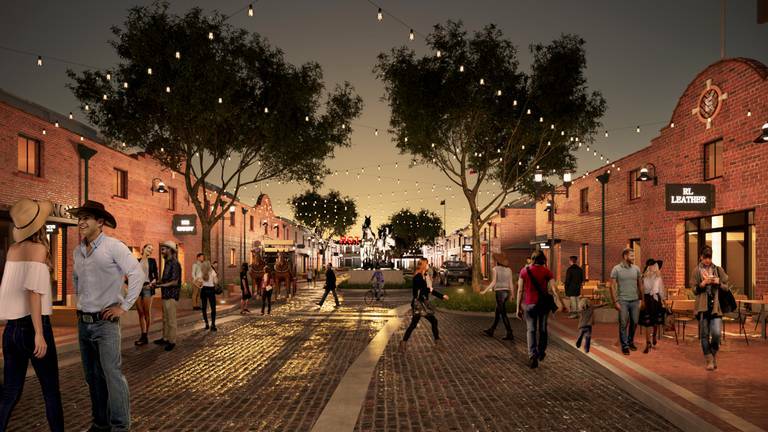 Stockyards Heritage Development Co., a partnership between Majestic Realty Co. and The Hickman Cos., unveiled plans Thursday to continue the evolution of the historic district through its renovation of the Horse and Mule Barns in the Stockyards. 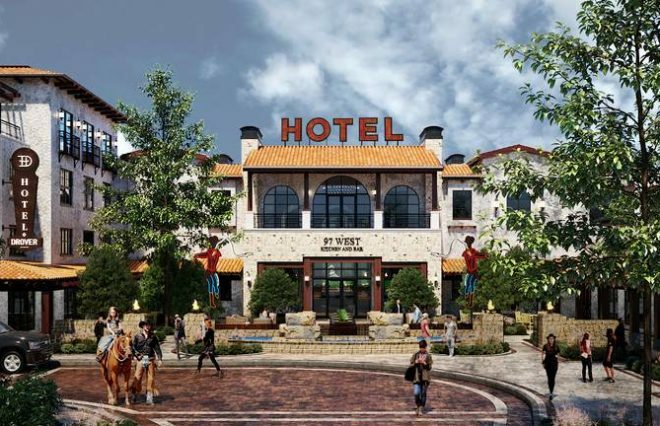 Plans were also unveiled for improvements to the Stockyards’ Exchange Avenue and construction of an Autograph Collection boutique hotel, event barn and "rustic resort," called Hotel Drover, at the end of Mule Alley’s street of shops, eateries, offices and live-entertainment venues. The project’s first phase has just kicked off, launching the $175 million renovation and ground-up development that’s been designed and planned over the past several years. • Second Rodeo Brewing Co. — Chef Jason Boso, known for the the Truck Yard in Dallas and Houston and Twisted Root restaurants throughout DFW, brings a “brewpub meets live music hall” concept to Fort Worth. Signature beer on-site, a street taco menu and live music in a 12,000-square foot barn will overlook Marine Creek with a patio nestled among giant oaks. • Shake Shack – Mule Alley will be home to the first and only Fort Worth location of Shake Shack, a burger stand that now has 168 locations across the country. • MB Mercantile & Supply – An early “general store” concept with one-of-a-kind goods from artisans across Texas and beyond. • RFD headquarters and studios – The new headquarters of RFD-TV, The Cowboy Channel, and Rural Radio, all part of Rural Media Group, now occupies a headquarters building on Exchange Avenue with plans to create a new broadcast studio, open to the public. Its mission is to reconnect “city with country” to the over 100 million homes in RMG’s networks, with emphasis on programming centered on the cowboy and cowgirl lifestyle. • Hotel Drover – With a planned opening in spring, 2020, the 400-room hotel is part of the Marriott Autograph Collection of hotels. It will have 15,000 square feet of meeting space and a barn for weddings, meetings and social events. 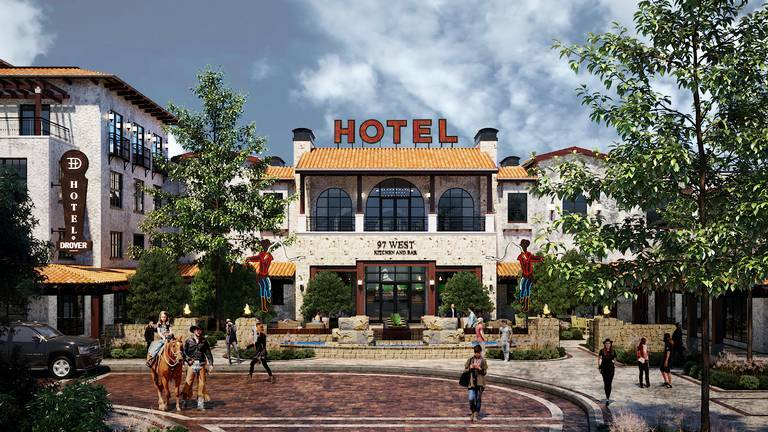 The hotel’s 97 West Kitchen and Bar will feature regional cuisine designed to feel like a ranch house, a café/lounge with a rustic fountain, a library, fireplace, fire pits, lushly landscaped pool area and paths along Marine Creek. The hotel’s is a tip of the hat to the legendary Drovers who herded cattle along the Chisholm Trail to market in Fort Worth. • New concept — An as-yet unnamed concept from Chef Marcus Paslay, executive chef owner of Fort Worth’s Clay Pigeon and Piatello Italian Kitchen. The concept focuses on grilled and smoked meats, an open kitchen with wood-burning grills and rotisserie smokers.